Justin and I have entered our biggest phase of our marriage: We are pregnant! With a baby on board, everything changes – priorities, schedules, diet, habits, etc. Come August 2015, Justin Jr will add two feet to our family and we are so thrilled to meet him. To watch him fall asleep (or not! Hello, sleepless nights), to hold his hand while he grows, to pick him up as he falls taking his first step…we are so ready and excited to meet him! This morning, I was reflecting on how God’s perfect creation happening in my womb. How it systematically changes from a blob to growing hands and feet. Sucking its tiny fingers, yawing, and kicking (mercilessly at times), our baby is not only taking on the physical features of Justin and I, but also, our personalities (oh dear! This means double trouble!). It can be overwhelming to know that God has entrusted his perfect creation and his cherished treasure to broken and imperfect human beings like us. Right now, although he is safe inside my womb and gets all his nourishment’s, comfort, and protection, I am worried if he is growing healthily. After his birth, he will be out in this world to daddy and mommy, but I am worried of the dangers that this world has to offer. Although we will make the best choices for him and continue to love, nourish, and protect this treasure of God, I am worried if these choices are good for him. As he begins to grow, we will teach him right from wrong, but I am worried if he will obey us and trust us. As good parents, we will raise our son to pray, to love, and to forgive, but I am worried if he will walk away from us or God. Sigh! Parenthood comes with its baggage of fears and worries. We can raise our son in a secure and gated-neighborhood, home-school him, make him wear helmets everywhere, not feed him processed or junk food, enroll him in swim and martial arts lessons, and do all the “right things”…but at the end of the day, a million wrongs things could happen. We could stand face-to-face with our biggest fear. Therefore, it is best to realize early-on that we do not control the life or the future of our children. 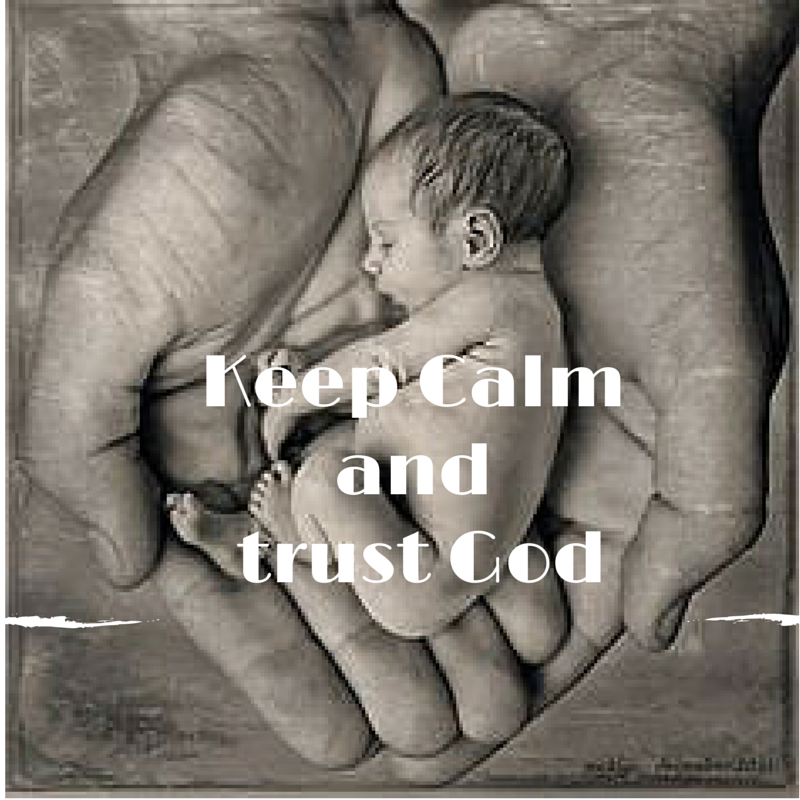 All we can do, every day, every moment, is do our best as parents, and then, simply trust God – the one who created him. God knows best. God holds his future. No matter what happens, God never leaves, abandons, or forsakes. This is the hope that I hold on to: God.